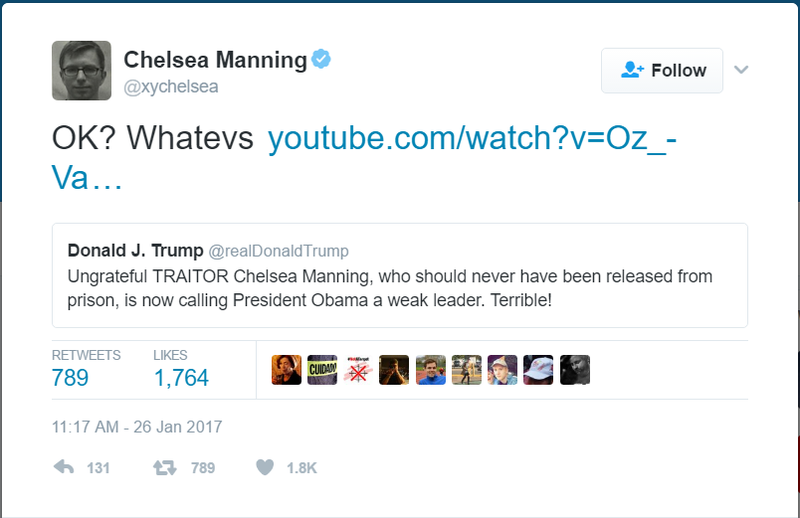 President Trump hit Twitter today morning to criticize hacker Chelsea Manning after she complained about former President Obama. Trump said that Chelsea is an ungrateful traitor and that she should not be released from jail. Chelsea Manning called Obama a weak leader after he decided to release her on May from prison, cutting 28 years off her initial 35 years sentence. On January 17, three days before leaving the office, Barack Obama commuted Manning’s 35 years term of imprisonment. Manning was imprisoned for leaking classified documents in 2009. This is one of the most-high profile clemency decisions of the last administration in the White House. Manning is set to be released from jail on May 17. However, this act of forgiveness didn’t stop Manning from writing a column in the Guardian criticizing Barack Obama. She said that the former president of the United States was too weak, too soft, and too sympathetic. Therefore, on Tuesday morning, President Donald Trump tweeted to criticize the opinion made by Manning, saying she is an ungrateful traitor, for criticizing Obama by calling him weak. “Ungrateful TRAITOR Chelsea Manning, who should never have been released from prison, is now calling President Obama a weak leader. Terrible!” Trump tweeted. Of course, it might seem that he was against her criticizing Obama, but the post also allowed Trump to say once again the attacks he has long made to Obama during his two terms in the office, and that intensified during Trump’s presidential campaign. However, Manning also made some remarks on the future of Trump’s administration, saying that people will probably be targeted because of their religion. As well, homosexual and transgender people must expect their right to be violated or limited. Manning said that with Trump as the head of the White House, people are in danger, especially immigrants, Muslims, and black people. Chelsea Manning was convicted in 2009 with a 35-year prison sentence. Back then, she was working as a U.S intelligence analyst in Iraq. But she was declared guilty of leaking over 700,000 diplomatic classified cables, videos and documents that showed the reality of the wars in Afghanistan and Iraq. 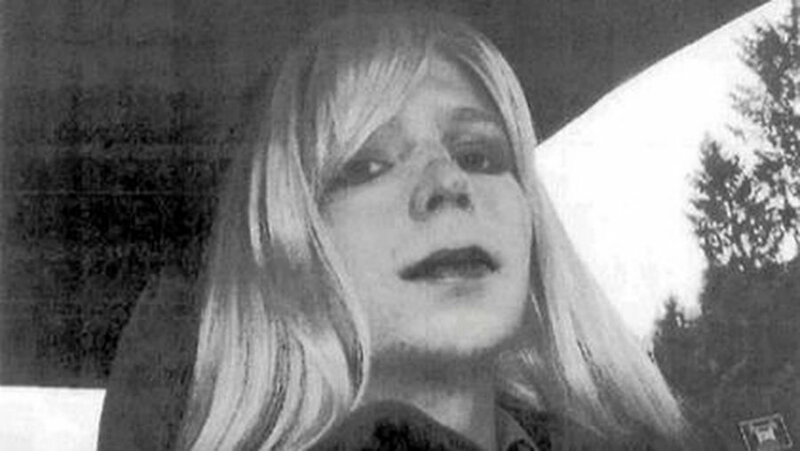 However, in the last press conference that Obama gave at the White House on January 17, he decided to reduce Manning’s sentence and release her from prison on May 2017. This means that Obama cut 28 years off her sentence, saying she has served a terrible term of imprisonment already because the initial one was disproportionate if compared to other similar cases. He said that the commutation wouldn’t encourage future espionage activities. On the commutation, Sean Spicer, the current White House Press Secretary, said that it was disappointing news to hear because it sent a troubling message when it comes to the handling of classified information.